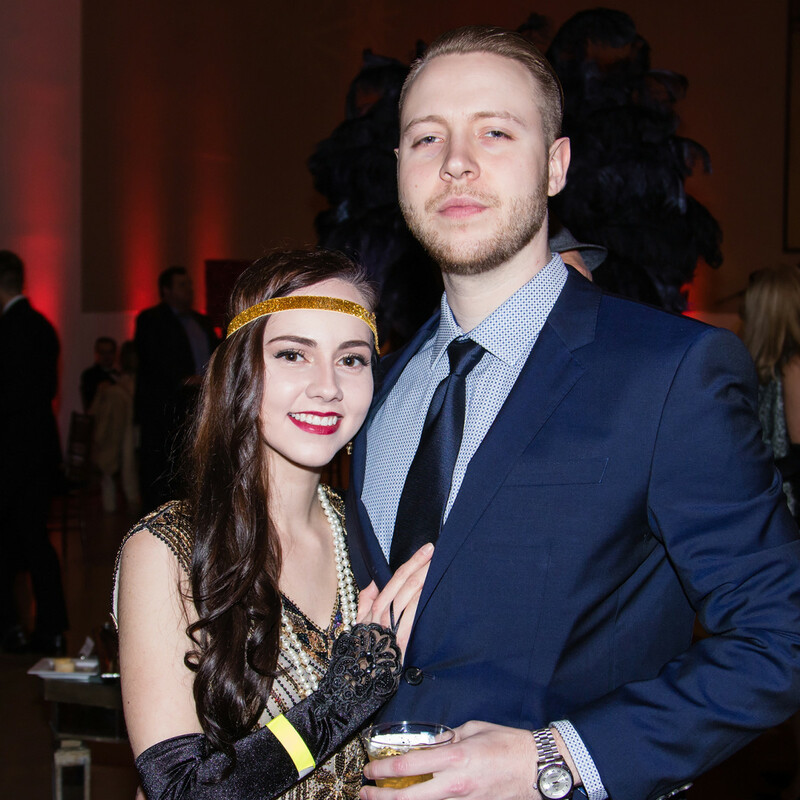 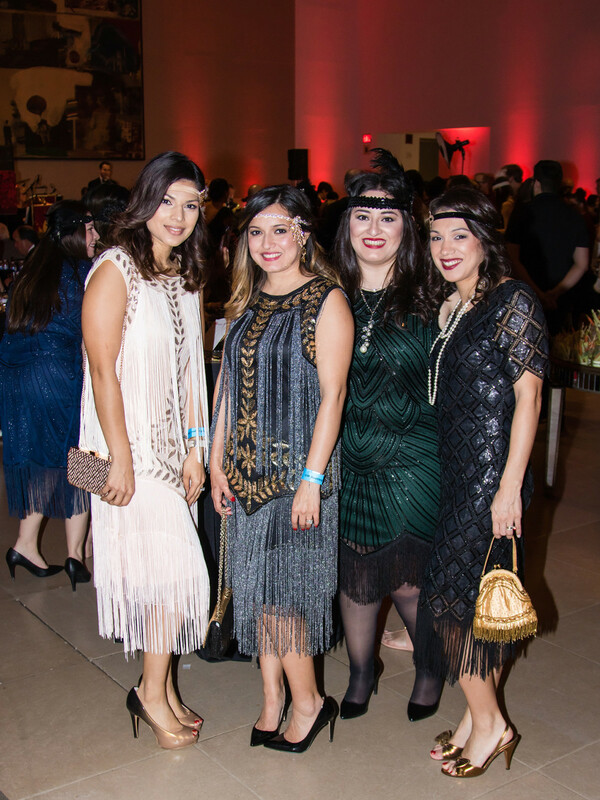 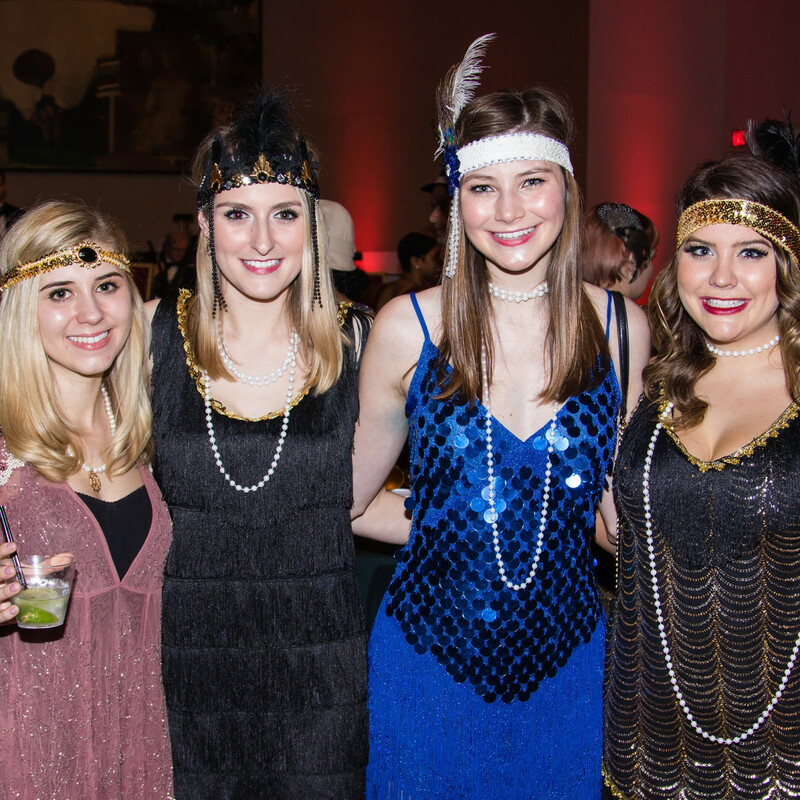 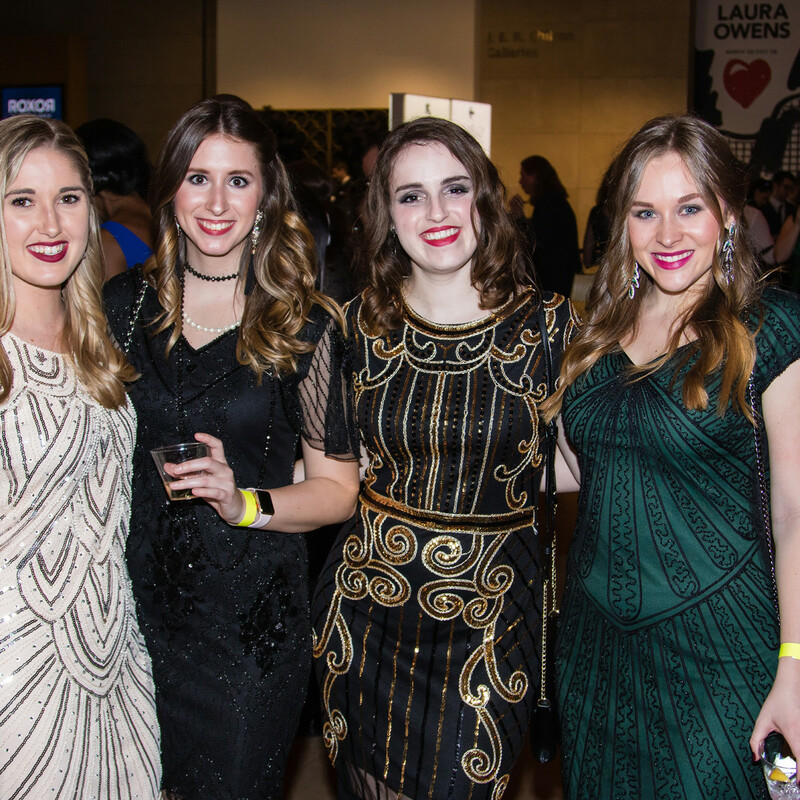 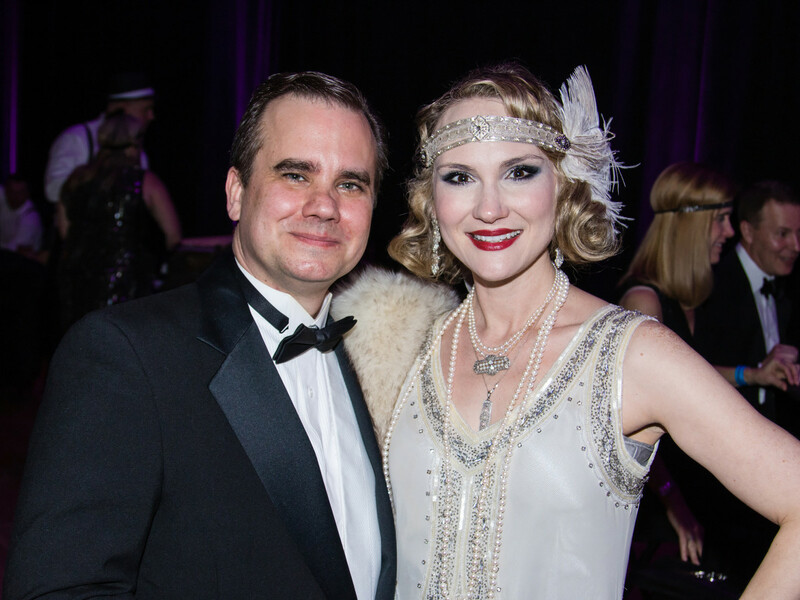 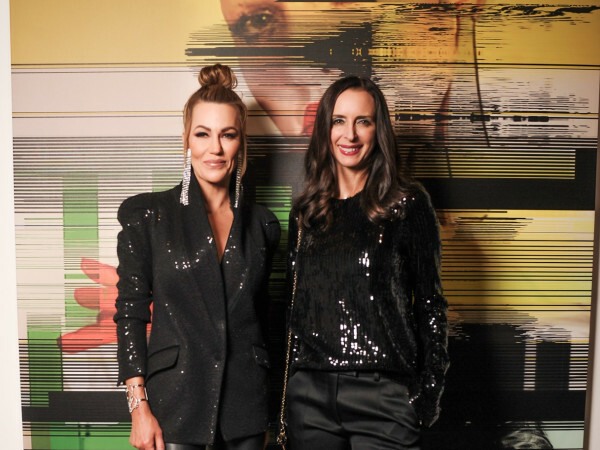 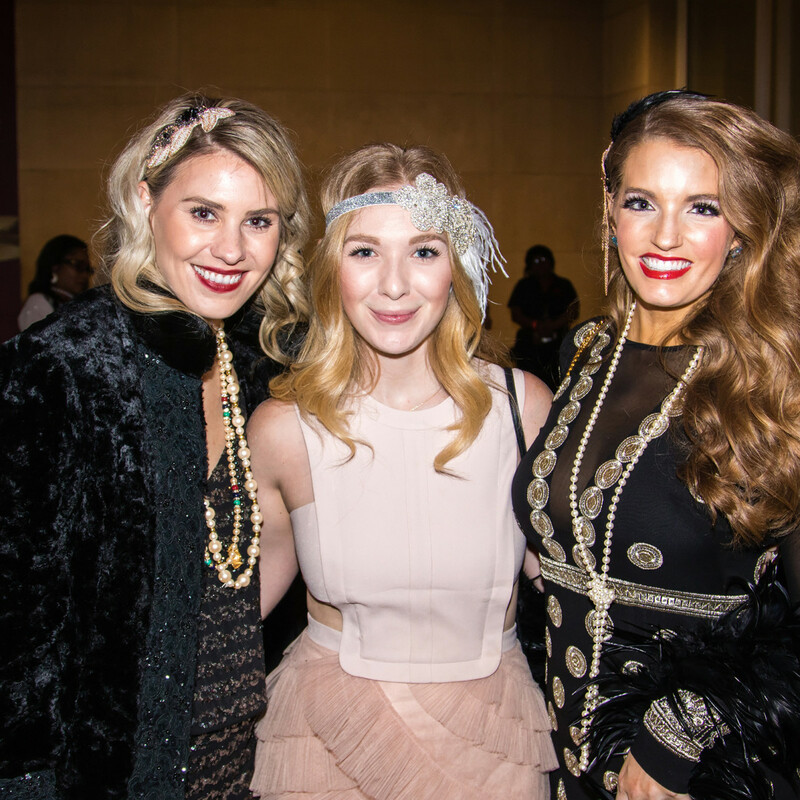 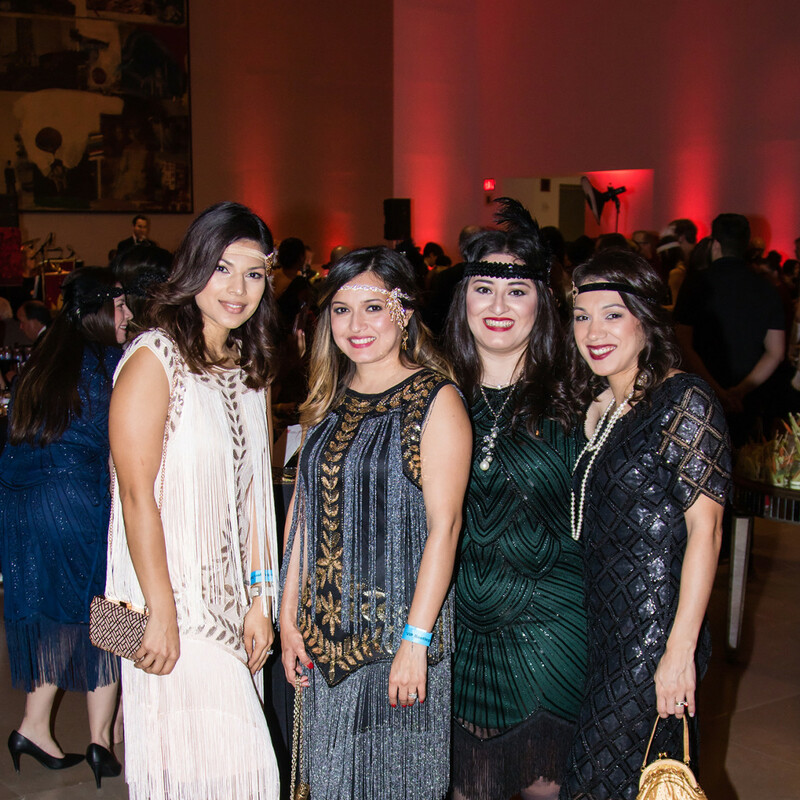 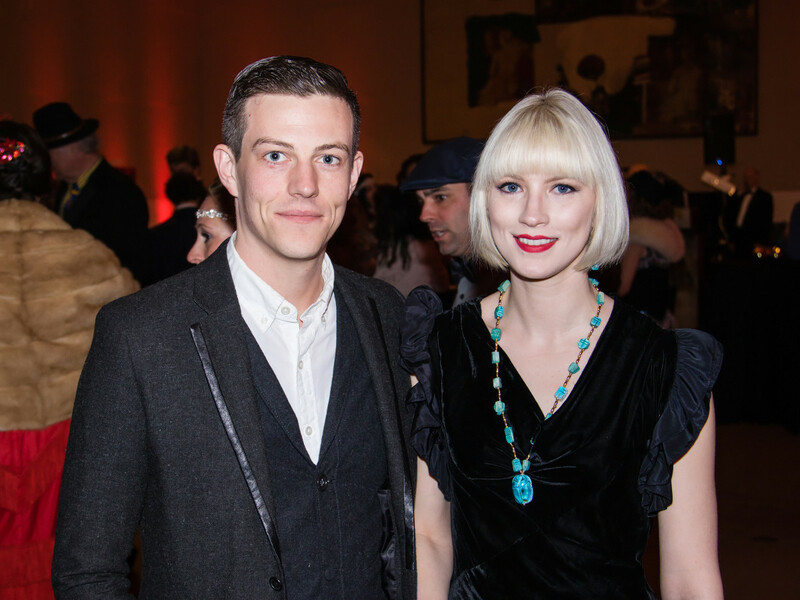 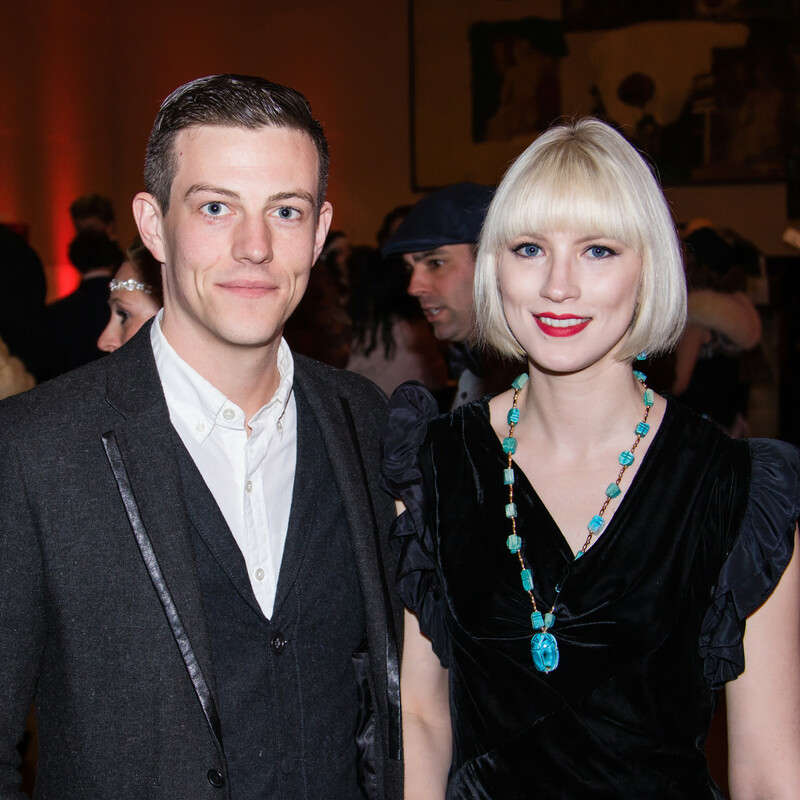 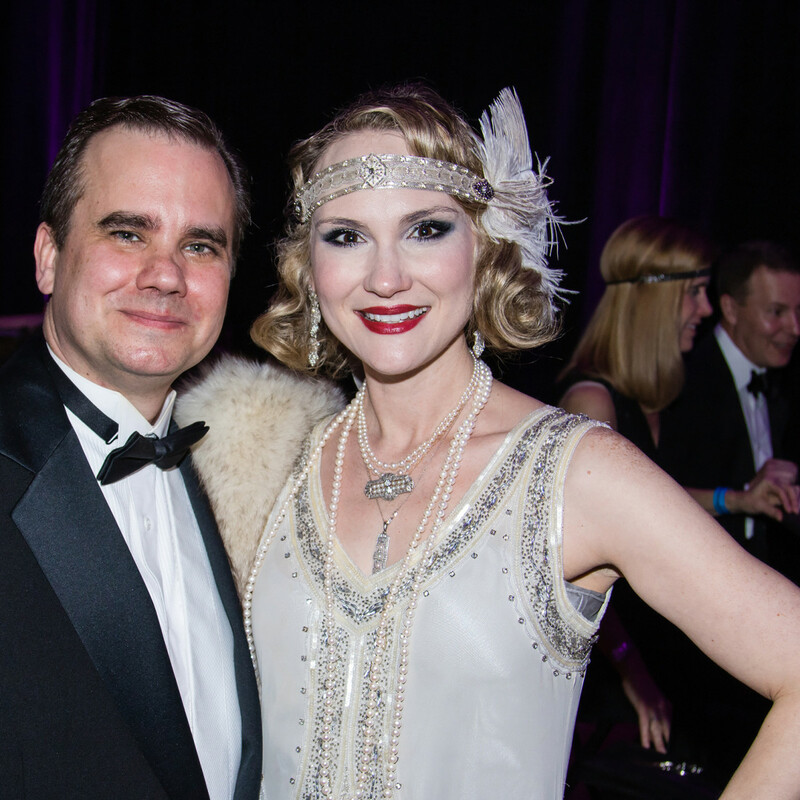 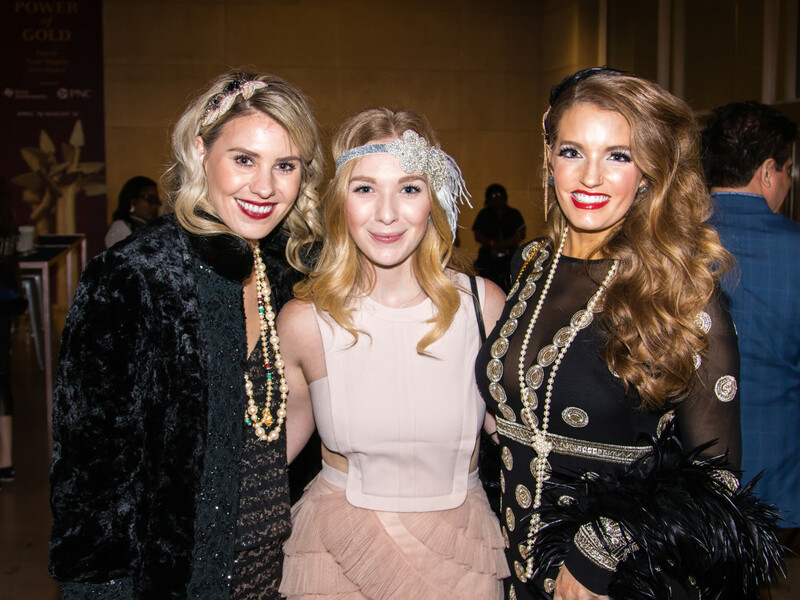 Passwords weren't required for the nearly 1,000 sequined, feathered, and fringed folks who turned up for Dallas Museum of Art's annual Speakeasy. 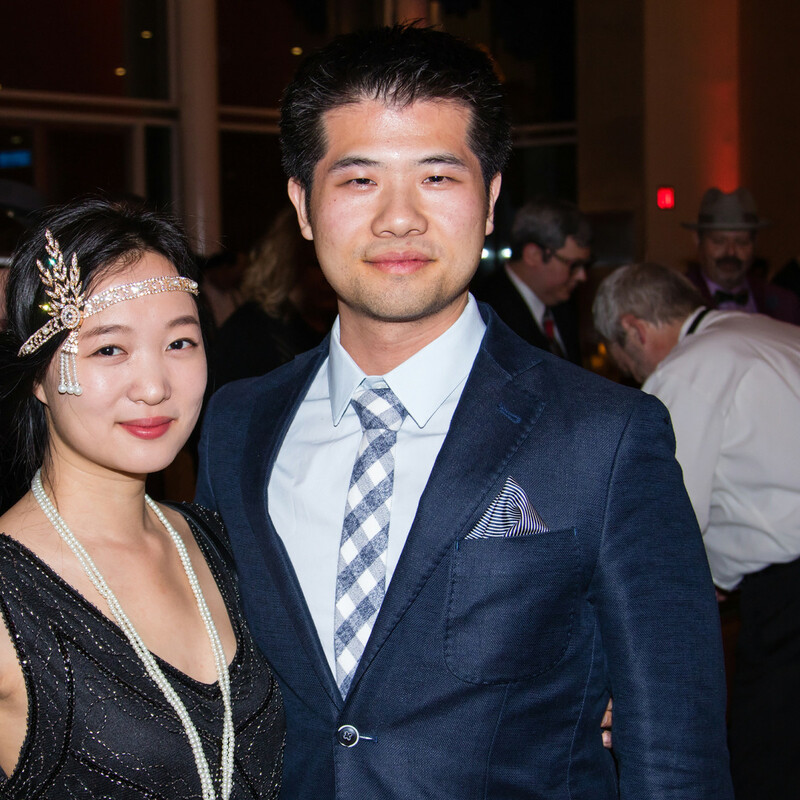 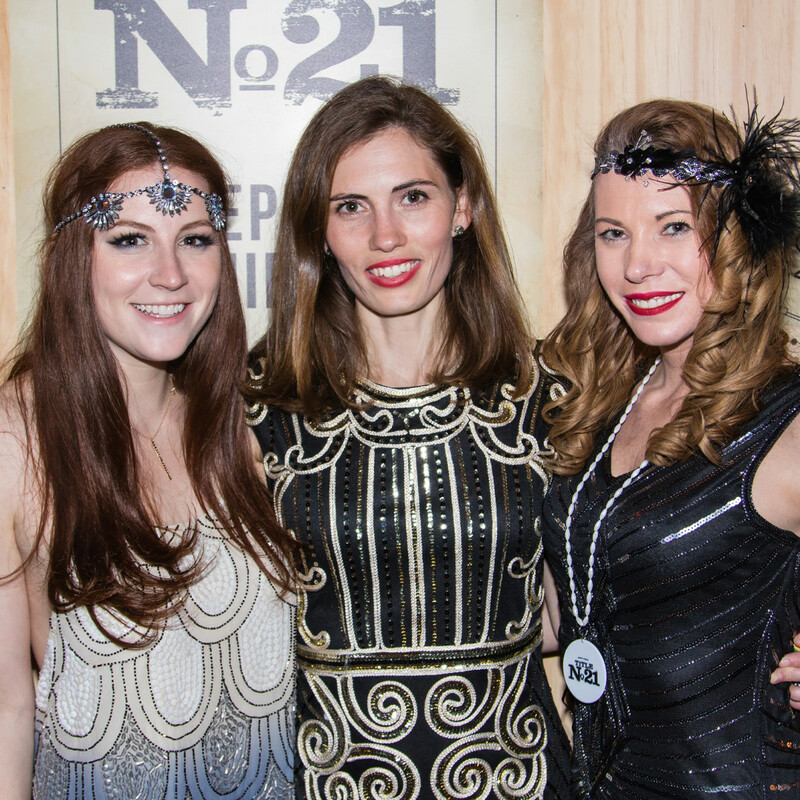 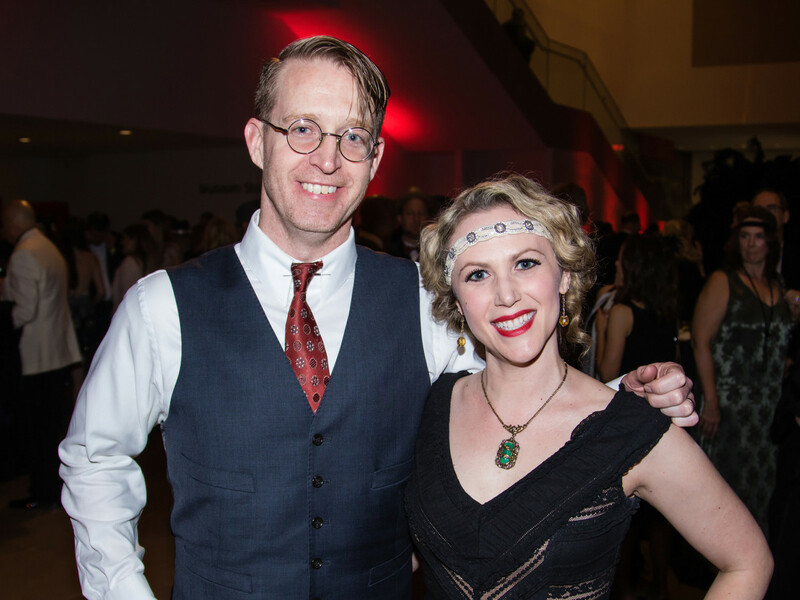 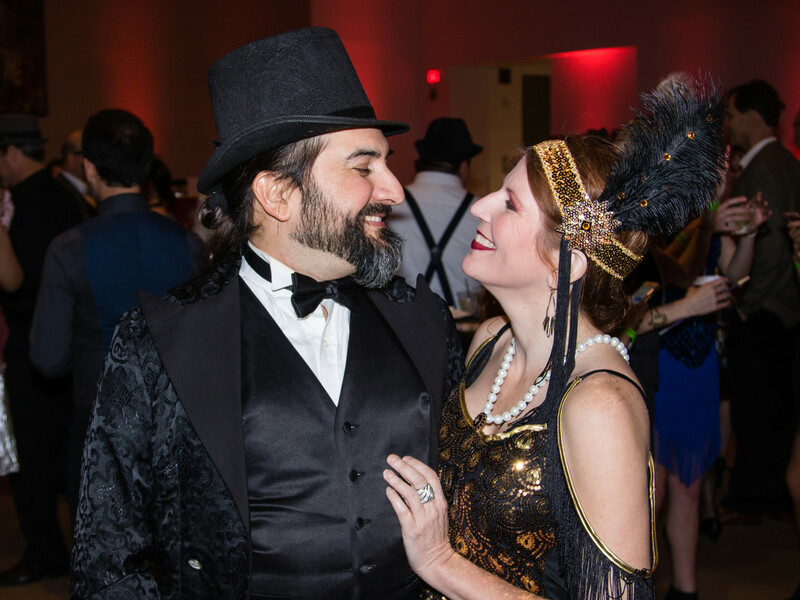 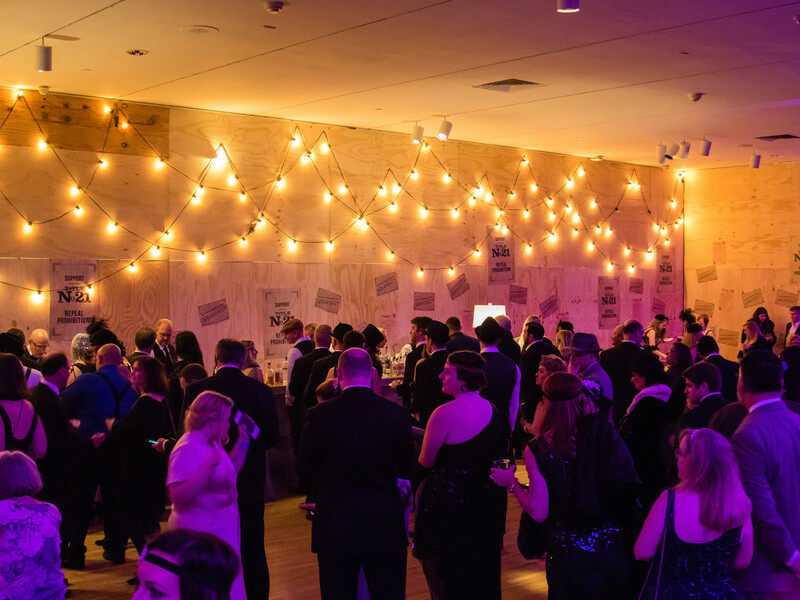 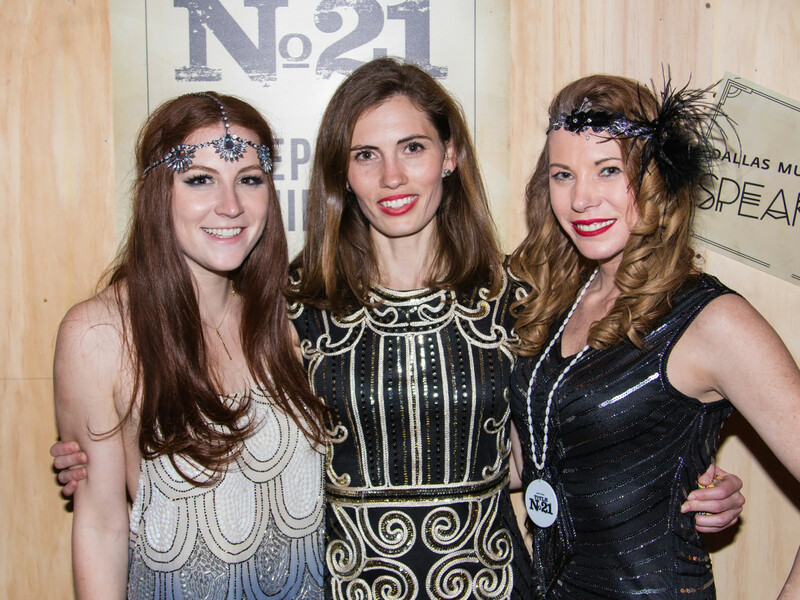 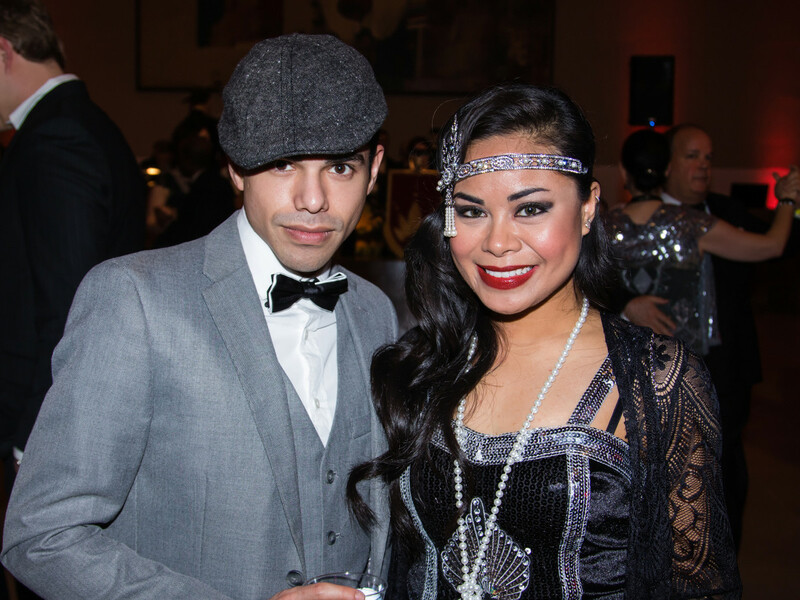 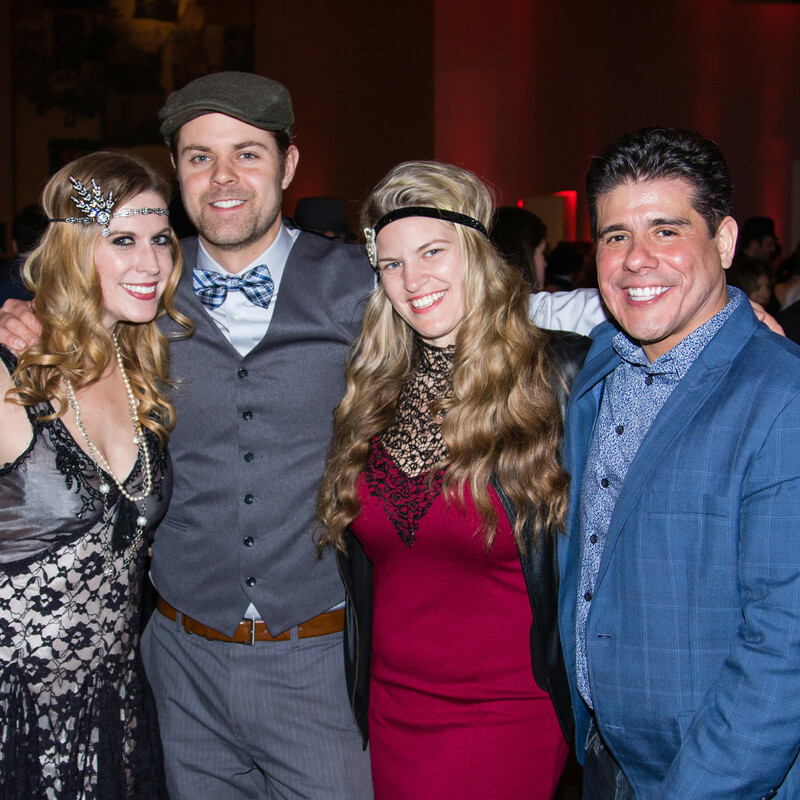 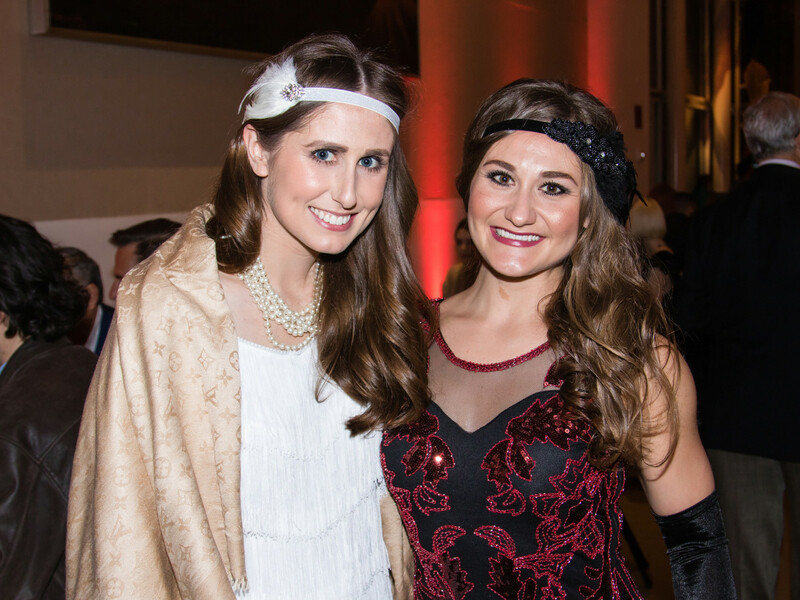 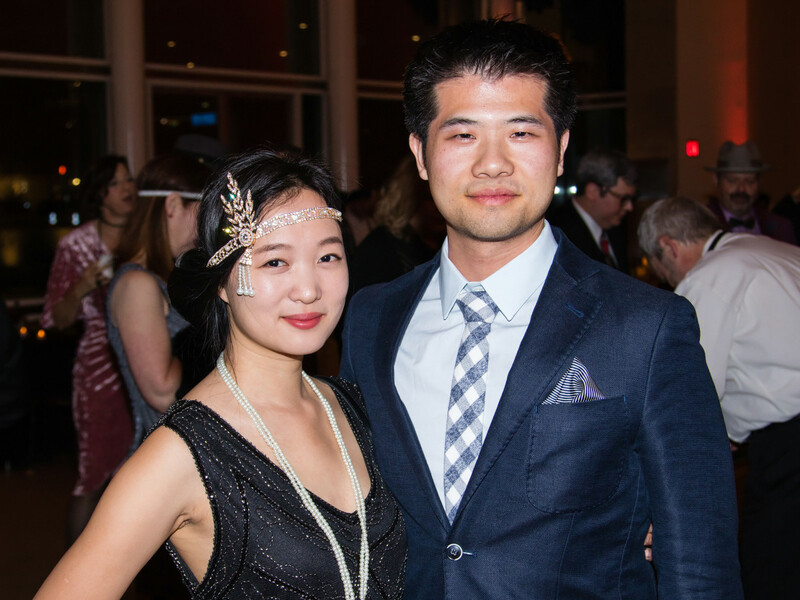 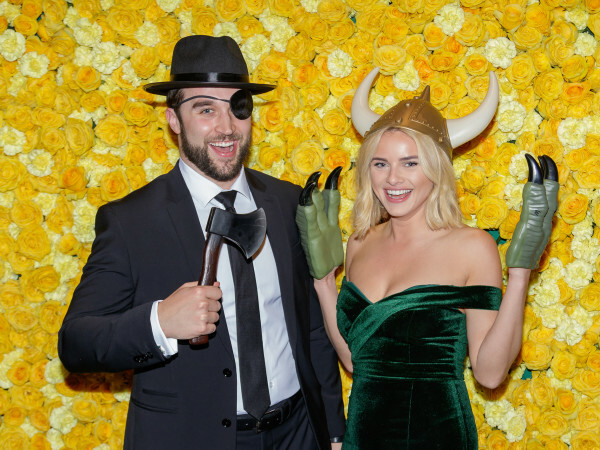 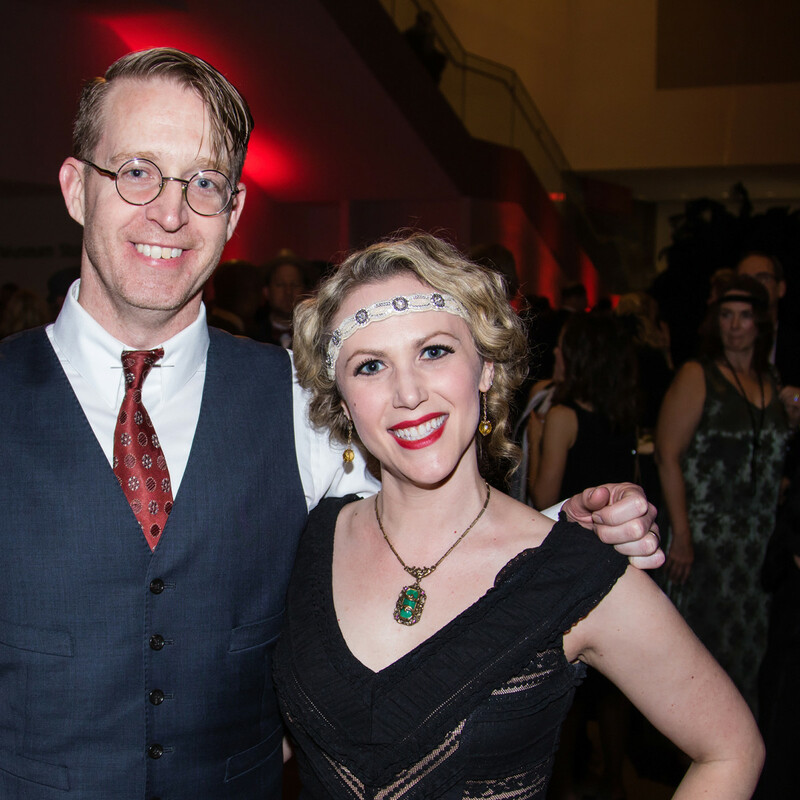 The Prohibition-themed party was spread out over the museum's concourse, atrium, level four galleries, Horchow Auditorium, and a secret "bootleggers den" that was reserved exclusively for the VIP crowd. 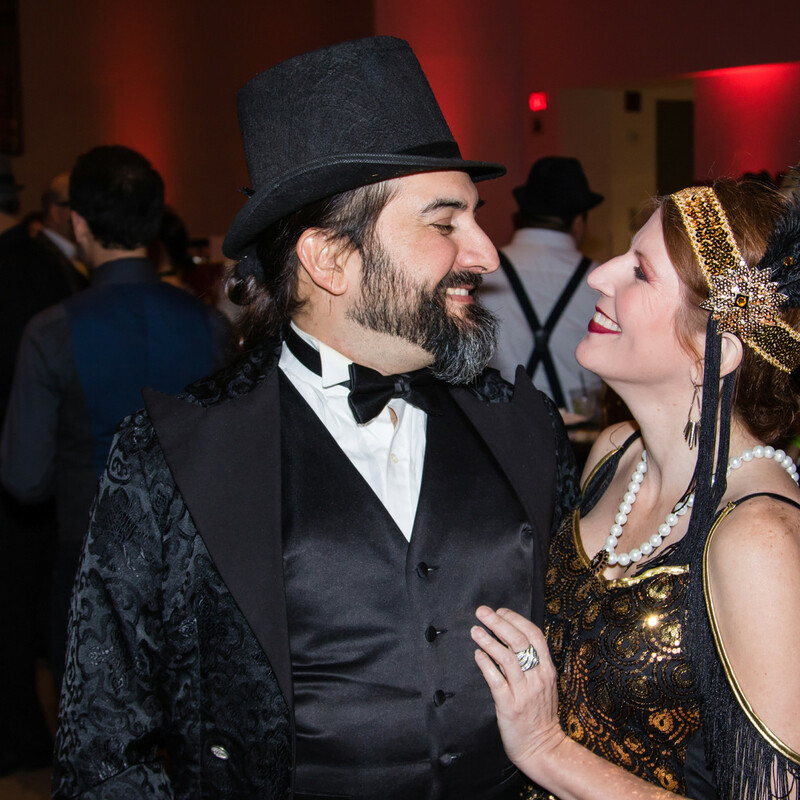 Roulette wheels spun and blackjack cards flew while flappers and their gents gambled (with fake money, of course) in the main atrium, accompanied by the smooth sounds of The Singapore Slingers. 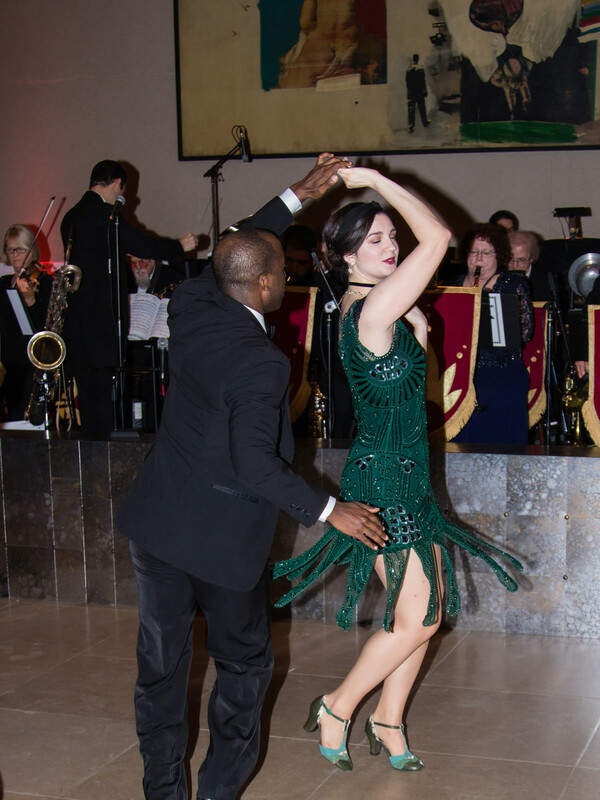 Dancers from The Rhythm Room taught the crowd to Charleston, Lindy Hop, and foxtrot, while DJ Derek Lynn ensured the music never stopped. 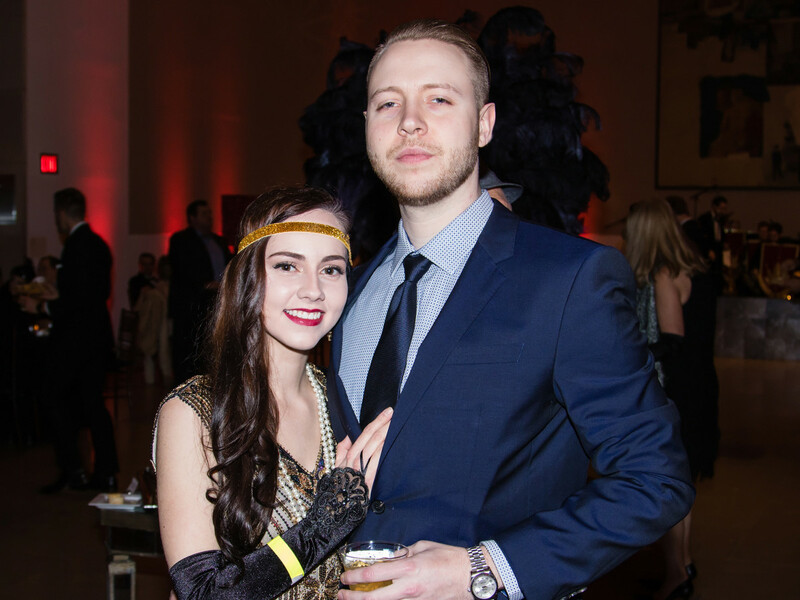 A spread including crispy chicken biscuit sandwiches, beef fajita wraps, tomato and goat cheese toast, and roasted veggie sandwiches — along with an array of chips, dips, and sweets — helped balance out the impressive cocktail menu. 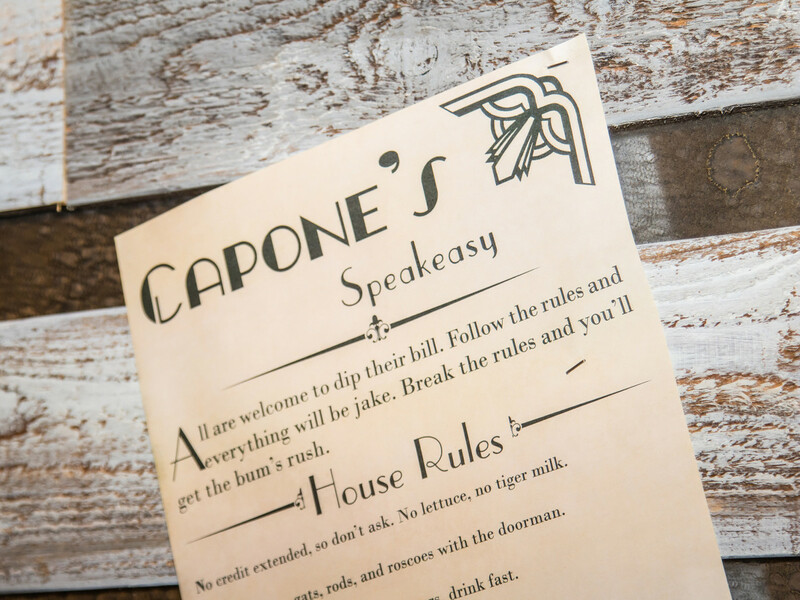 Guests could get their hooch in the form of The Outlaw (Calamity gin, blueberry syrup, lemon, and ginger ale), an old fashioned (Title 21 rye, simple syrup, bitters, and water), a watermelon mule (Nue vodka, watermelon puree, lime juice, mint, and ginger beer), or the Rox & Razz (Roxor gin, raspberry puree, and tonic). 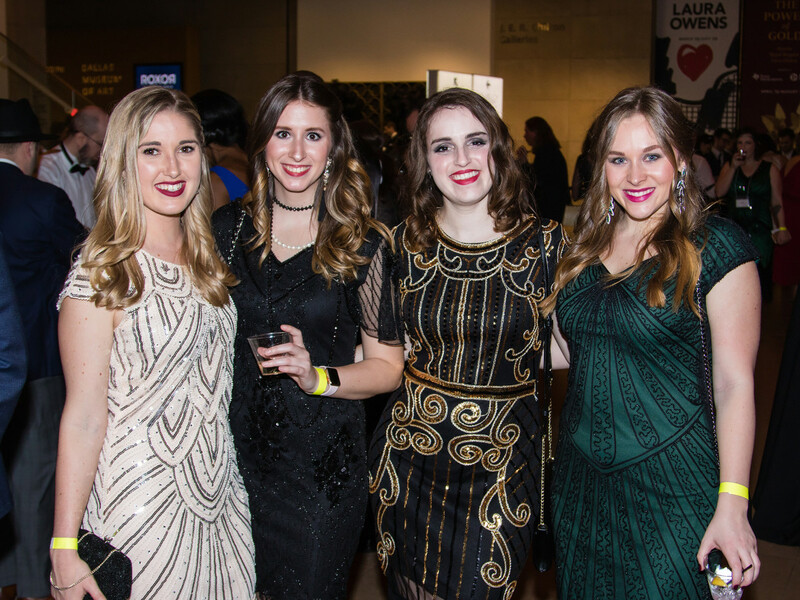 Eager to show off their sparkly duds, many paused to pose before the photo booth and the CultureMap Boomerang selfie station. 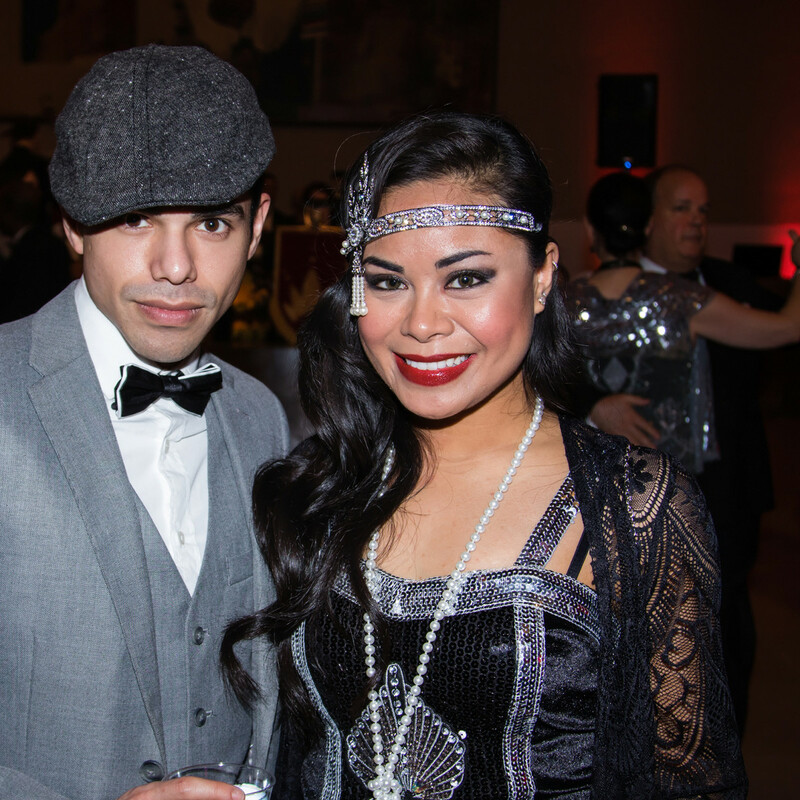 Those who came dressed to kill competed for the titles of best-dressed man, woman, and couple, and the competition was fierce. 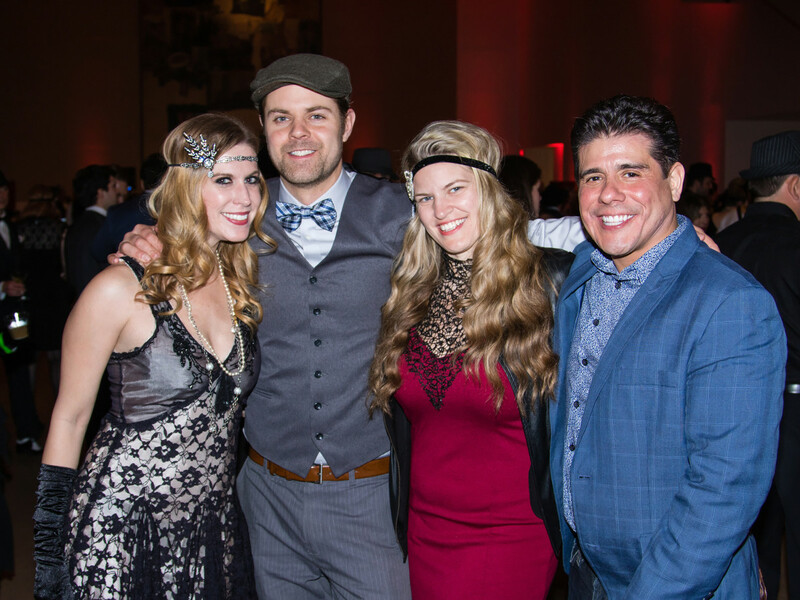 Some of the most well-heeled were seen disappearing into the bootleggers den, where DJ Blake Ward spun tunes all night long and a separate menu awaited. 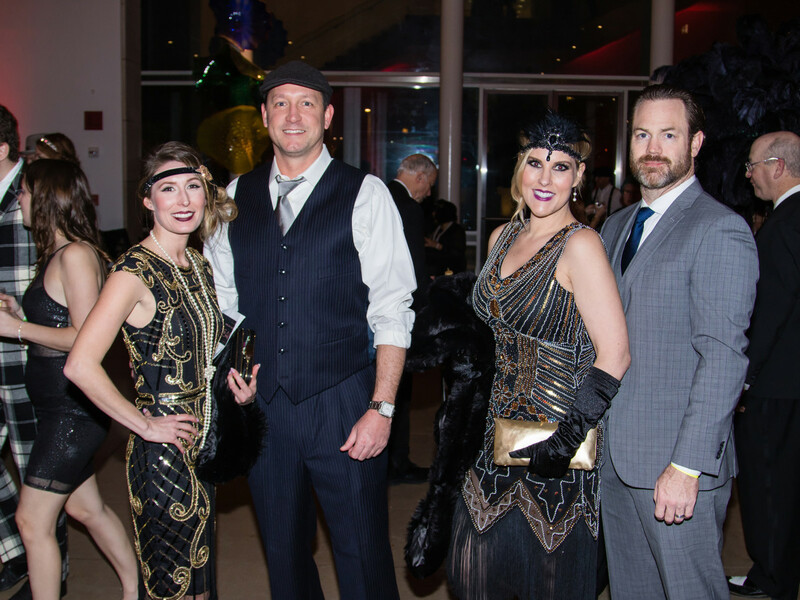 Those needing a break from all the revelry could head to the Horchow Auditorium and watch Robert Redford and Mia Farrow define Art Deco excess in the 1974 film version of The Great Gatsby. 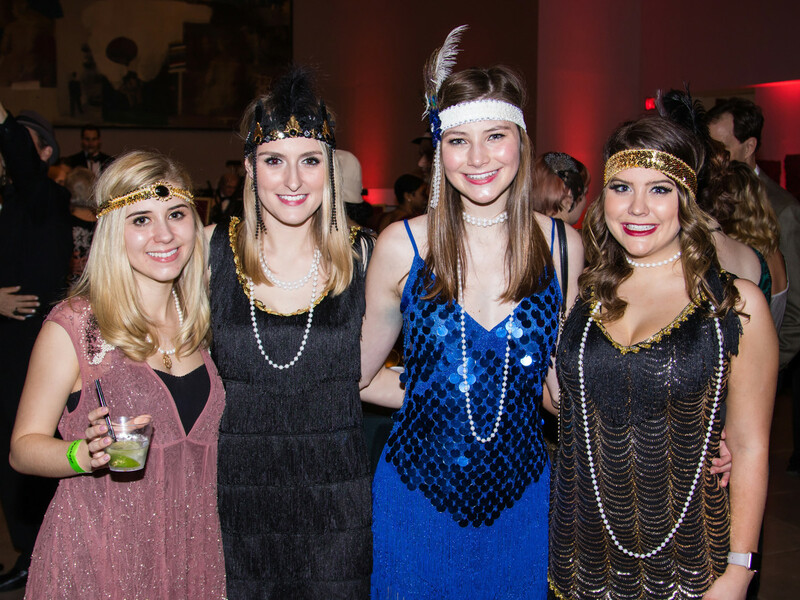 But those who craved more excitement could "track the bootleggers" on a scavenger hunt through the DMA's vast collection of American art. 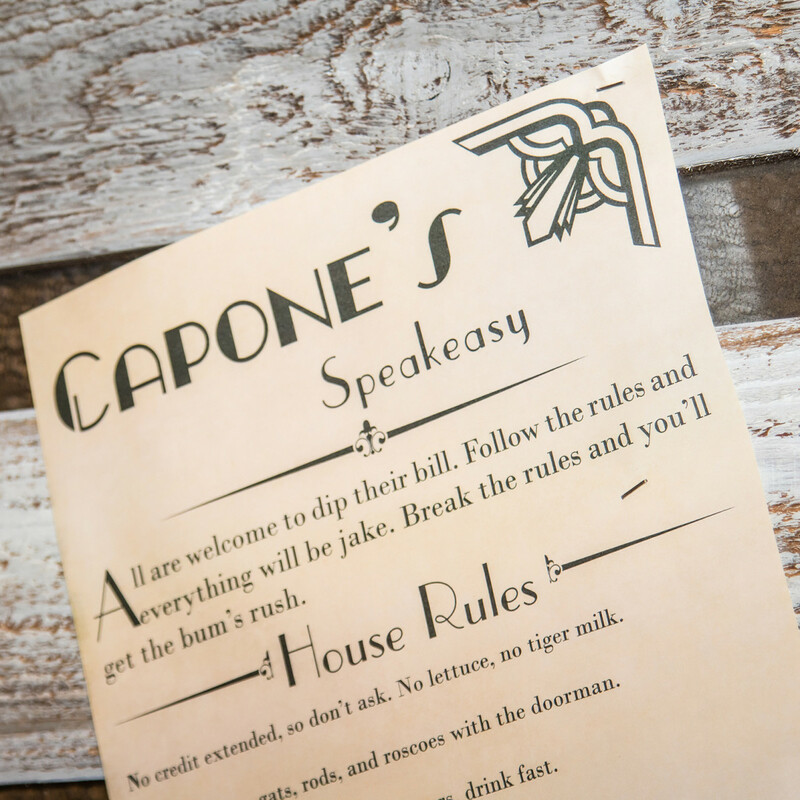 The map sent participants on the trail of portraits depicting "Mafia-type disguises" and subjects who "seem like a real party animal," as well as distinctive cocktail vessels and fancy beer pitchers. 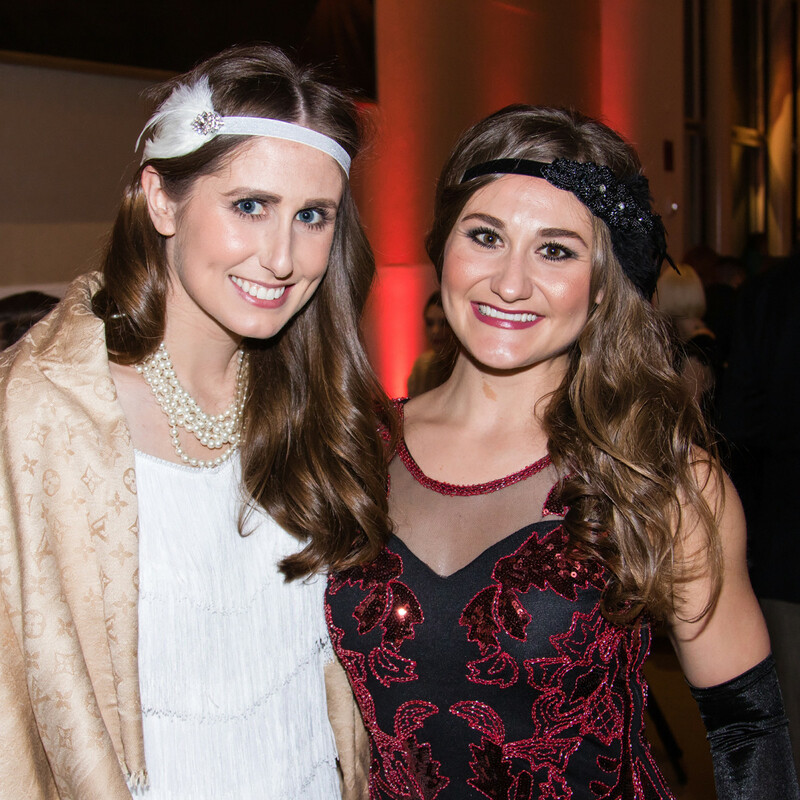 A hot-ticket raffle meant that no one had to give up the glamour once the night ended. 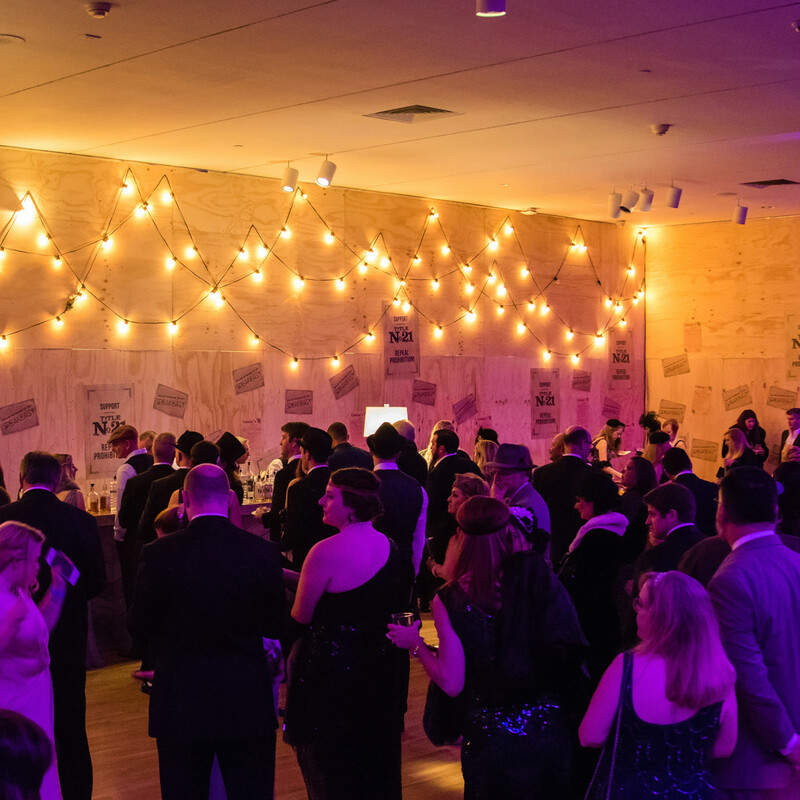 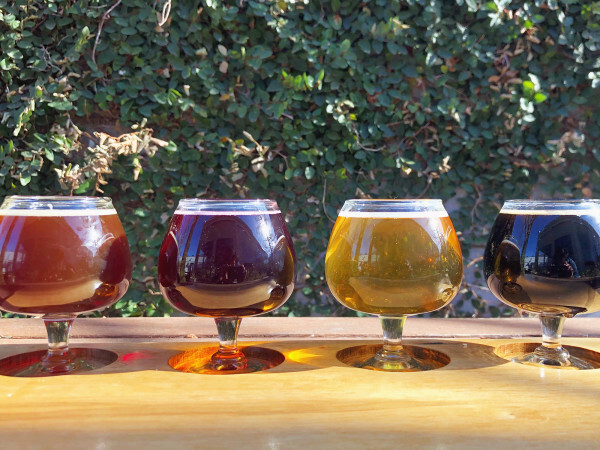 Prizes ranged from a fully stocked bar and tickets for the upcoming Turnpike Troubadours concert to a Joule hotel getaway (with bar credit at Midnight Rambler) and VIP packages for the DMA's popular Arts & Letters Live series. 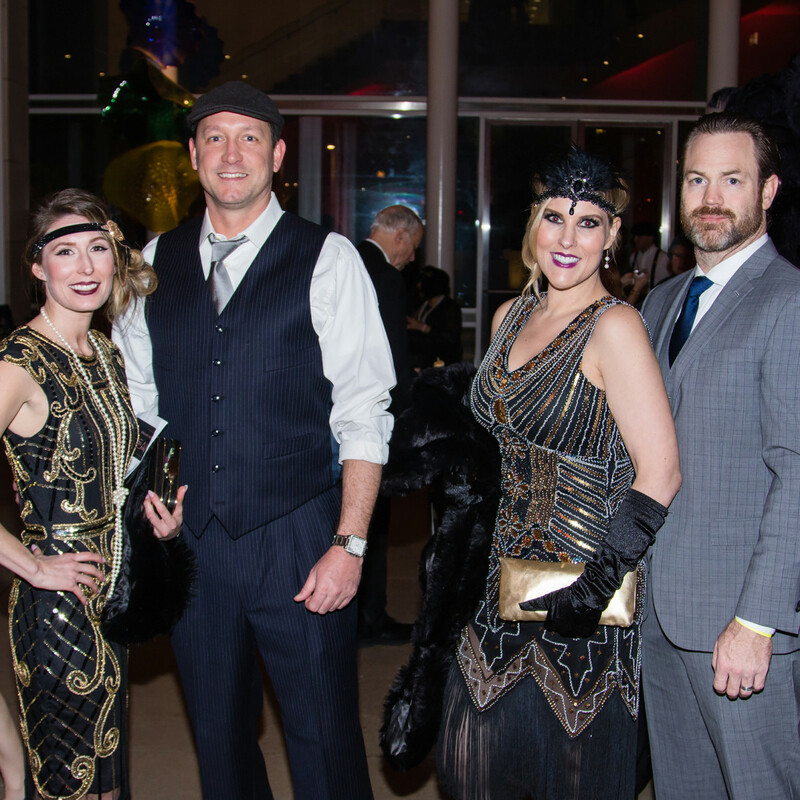 Without the threat of a coppers' raid, revelers were able to stop and snap a pic in front of the vintage automobiles provided by Keith Weiss and the Dallas Model A Ford Club on their way out.